Tyrese Darnell Gibson is an American singer, songwriter, actor and author born on 30th December 1978. His musical career began from the audition of Coca Cola commercial and in 1994 his appearance in Coca-Cola advertisement, singing the phrase “Always Coca-Cola provided him with huge fame. Tyrese released his debut single “Nobody Else” in 1998 which peaked at number 36 on the Billboard Hot 100 chart. At the age of 19, Gibson released his self-titled album which earned critical acclaim and debuted at no. 17 on the Billboard chart. Later on, he released several studio albums including 2000 Watts, Alter Ego, Open Invitation and I Wanna Go There. The albums spawned numerous hit singles such as I Like Them Girls, How You Gonna Act Like That and Stay. 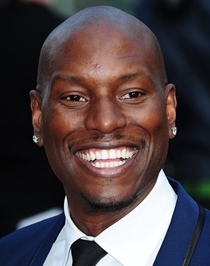 In 2015, Tyrese released album, Black Rose which bestowed him with commercial success and peaked at number 1 on the Billboard 200. In addition to that, along with music Gibson as well continued his acting career and performed variety of roles in several major films including Baby Boy, 2 Fast 2 Furious, Transformers: Dark of the Moon, Fast & Furious 6 and Furious 7. Throughout his career he won various awards and nominations such as Grammy Award, American Music Award and NAACP Image Award. In his personal life, Tyrese Gibson was married to Norma Mitchell in 2007 but the couple ended up their relationship in 2009. Afterwards, he dated several celebrities like Daphne Joy, Rozanda “Chilli” Thomas and Lyndriette Kristal Smith. Following are the complete actor Tyrese Gibson body measurements information is given including his weight, height, chest, biceps, waist and shoe size. The actor has several tattoos on his body. His childhood dream was to be a garbage man. Gibson was one of the judges on the 2002 Miss Universe Pageant. 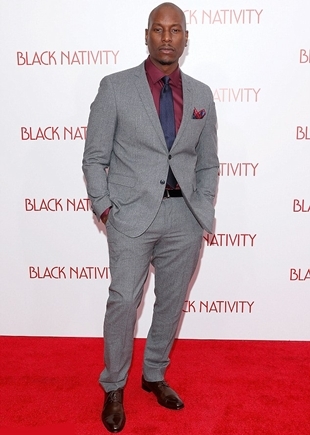 Tyrese first book ‘How to Get Out of Your Own Way’ became a New York Times best seller.